While numerous beauty and fashion brands deserve applause for promoting inclusivity, the other spectrum sees a few retailers pandering to various ethnicities just for the sake of it. In efforts to color within the lines, American beauty retailer Stila Cosmetics has received flak for darkening a model’s skin in its ‘Little White Lies’ collection for Spring 2019. The Photoshop job was spotted by Christine Mielke, founder and Editor-in-Chief of beauty news site Temptalia. 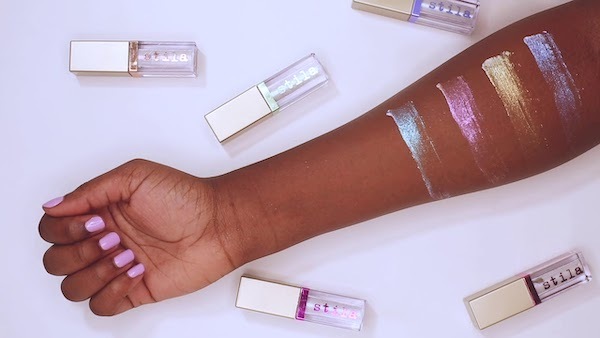 Mielke said she was consolidating the assets for the launch of the five-hued liquid eyeshadow collection, when she discovered that Stila had reused the same model for light and dark-skinned swatches, even though it could have hired two different women to promote the cosmetics. She then pasted the images of the two skin tones in separate layers to confirm her suspicions. “As the images were the same size, I had them in the same Photoshop document… and when I cropped and then toggled one image layer off to save the second image, I noticed that it appeared to be the exact same image,” Mielke detailed in a blog post. The only discrepancies were the edited skin tones and areas “like the whites of the eyes,” she said. Mielke also noted the irony of the series being “appropriately well-named” as ‘Pretty White Lies’. Social media users were understandably perturbed by the move. Some wondered if the company had even hired anyone to model the photos, or had just digitally altered a stock image. Stila has since apologized for the “creative mistake,” defending that was “not reflective” of its identity. Apparently, the photos shared by Mielke were not supposed to appear in its finalized campaign. Stila also attached a series of images featuring two different models that were meant to serve as the official assets of the collection. “As a brand, we support all ethnicities and skin tones to celebrate individual beauty and apologize if our creative was not representative as such,” the retailer concluded.